Joining Faculty of John J. Cali School of Music at Montclair State! 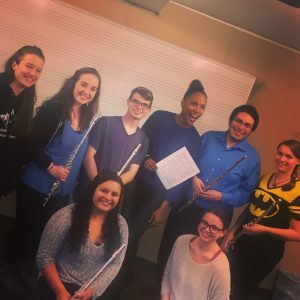 I’m excited to announce that I am now on the faculty of the John J. Cali School of Music at Montclair State University where I am teaching private flute and coaching ensembles. I’m thrilled to join the current faculty, who are a group of amazing musicians and colleagues, and work with a strong group of talented students. Looking forward to an exciting new chapter! On February 5-7, I had the enormous pleasure of serving on the faculty of Carnegie Hall’s Weill Music Institute, PlayUSA workshop. 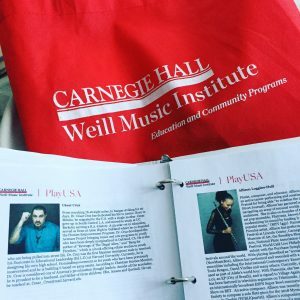 Carnegie Hall’s PlayUSA supports partner organizations across the country that offer instrumental music education programs to low-income and underserved K–12 students. These organizations receive funding, as well as training and professional development for teachers and arts administrators, in addition to guidance from Carnegie Hall staff to help address challenges and build on best practices. The workshop served as one of the many professional development offerings to partner organizations. The theme was “Empowering Students to Lead” and I offered an interactactive session entitled “Cultivating Successful Teacher-Student Relationships.” I was joined by fellow faculty members Thomas Cabaniss, César Cruz, Margaret Jenks, Dennie Palmer Wolf and Randal Swiggum, along with the wonderful staff of Weill Music Institute. Alongside serving as a faculty member, I was lucky enough to also participate in all of the other sessions. The amount of expertise in the room was inspiring and I walked away with many facts, stories, and teaching techniques to digest. It was wonderful to get to know all of the organizations, as they are doing powerful and meaningful work in music education throughout the country. Posted in Education/Outreach and tagged as Allison Loggins-Hull, Carnegie Hall, music education, PlayUSA, Weill music institute. 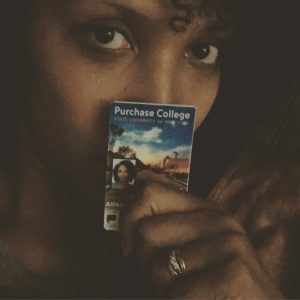 August 29th was the first day of my class at SUNY Purchase, “Trends in Music and Society.” I’m so excited to be a part of Purchase’s newest initiative to incorporate professional development courses into the curriculum. There is so much potential to create an outstanding, critical and supportive course of study in music leadership, and I am beyond thrilled and grateful to be a part of it. Onward, Purchase! 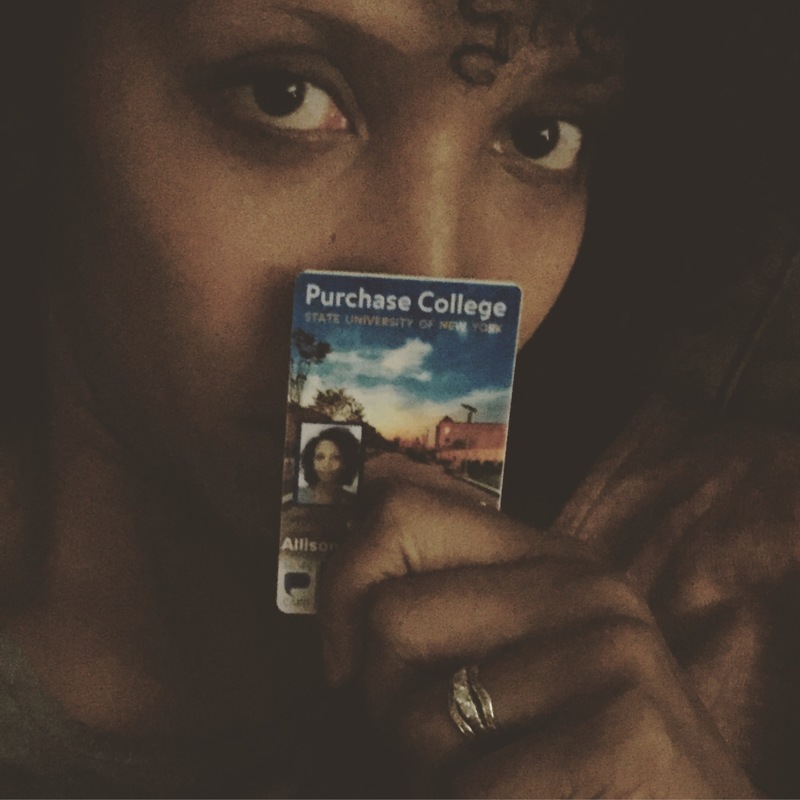 Joining the Faculty at SUNY Purchase Conservatory of Music! I’m beyond thrilled to announce that I will be joining the adjunct faculty at SUNY Purchase Conservatory of Music! I will teach the course “Trends in Music and Society” and be actively involved in their entrepreneurial coursework. This is such an exciting, new journey in my career and I am humbled to return to my alma mater in this capacity. I look forward to working with the students as we dive into this LOADED and ever-evolving topic. This past week, I had the pleasure of coaching the flute ensemble at Montclair State University on my piece “Stacked” for 6 flutes. They’ve performed it multiple times and brought a great sense of joy and excitement to our coaching session. 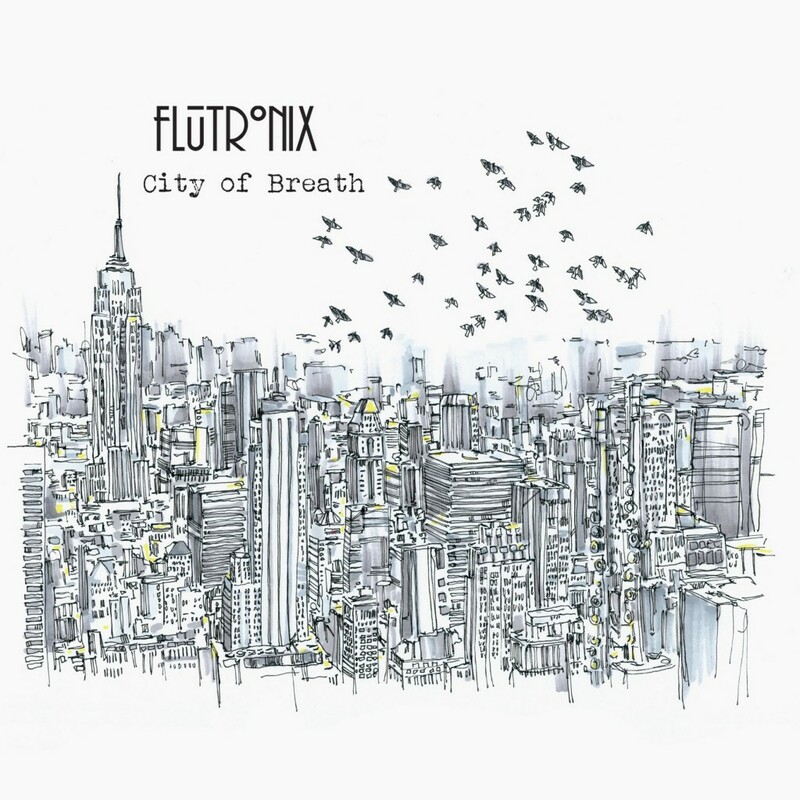 We also had a blast reading through Flutronix’s piece “Flock” for 4 flutes and alto flute. All-in-all, it was fun afternoon with lots of fluting and laughs. Thanks to Dr. Silverman for having me and the students for their hard work!